Our PRE-PAID Hourly Jet Card is the latest addition to our complete range of private jet charter services. Our cardholders have valuable benefits such as better control of traveling expenses, fixed hourly rates and access to a newer fleet. Are there extra taxes and fees? Taxes are already included but segments fees are not. This fee is charged per passenger on each leg, and does not exceed $20 USD per passenger. Do I get charged for taxi time? Yes. Taxi time is charged at 12 minutes per leg. What’s the lead time for making flight reservations? For standard travel days, reservations are required at least eight (8) hours prior to the scheduled departure time. Itineraries departing before 10:00 AM (local time at the point of departure) must be confirmed before 6:00 PM (local time at the point of departure) the day prior. For international flights, additional notification requirements may vary from destination to destination. On peak travel days, reservations are required at least seven (7) days prior to the scheduled departure date. Can I schedule multiple aircraft on the same day? How many peak days are there? There is a total of 30 peak days in a year. What is considered a qualifying round trip? Round-trip itineraries are defined as those trips that begin and end at the same airport, average at least the daily flight time minimums for each day of the trip, and can be completed within the constraints of a crew’s duty time. What are flight time minimums? A minimum of two (2) hours per day are billed for each aircraft requested on each day. Additionally, portions of any itinerary involving an interim stop other than the stop at the final destination (i.e., a “leg” or a “segment”), will be billed at a minimum of one (1) hour for each aircraft requested. 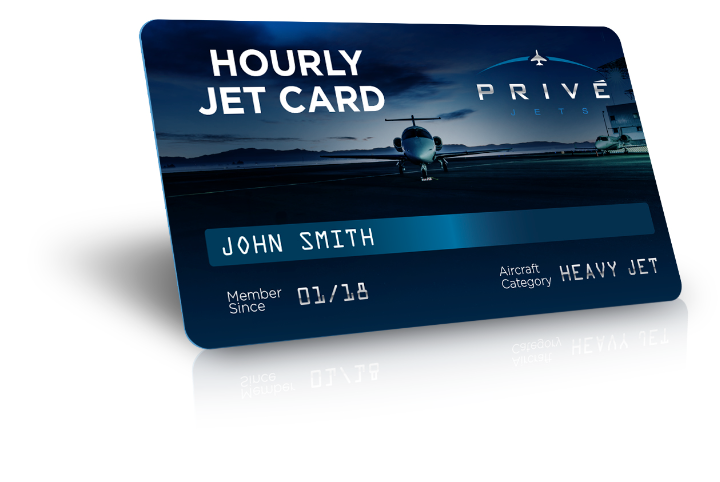 What is the difference between the “Hourly Jet Card” and the “Membership Jet Card”? The Hourly Jet Card requires the total amount to be prepaid. The Membership Jet Card does not require prepayment but it has a one-time membership fee and flights are paid for as you fly.